There’s something about wraps that satisfy cravings. Once you grill them though, it brings it to whole other level! When you add grilled veggies to it, it completes the whole flavor profile. I start by baking the peppers and the garlic. I bake them in the oven so that they don’t burn, but you could do it on a grill if you wanted. Once the peppers and garlic are done, it’s time to make the hummus. 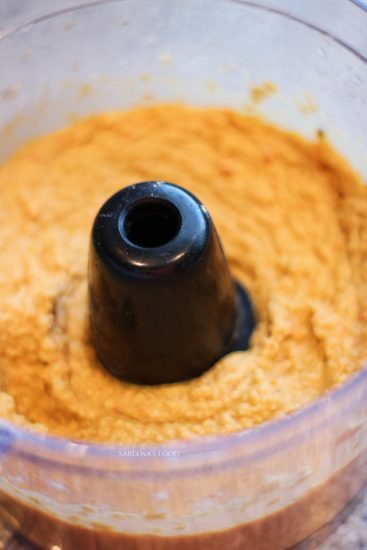 I make my own hummus, but you could add the ingredients to store bought hummus if wanted. 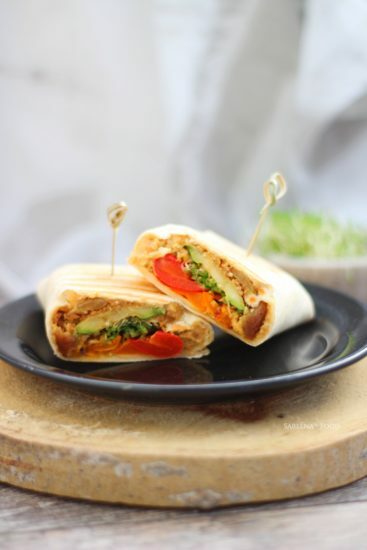 This is good for dipping vegetables in as well as this wrap. Grilling the zucchini is next. 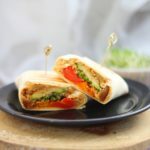 You could use raw zucchini, but grilling it makes it that much better in this wrap. 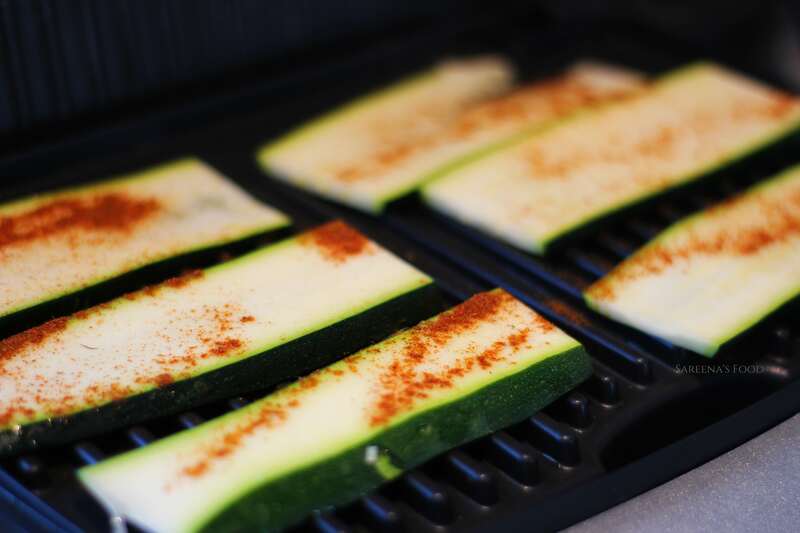 I use an indoor grill for mine as I find that it is easier to control how fast the zucchini cook. Now it’s time to assemble the wrap. 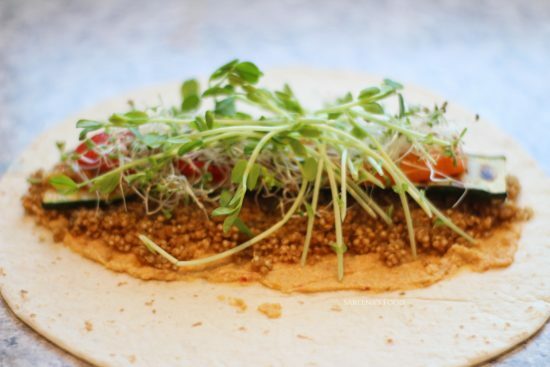 Spread a generous amount of hummus on the tortilla and top with quinoa and veggies. 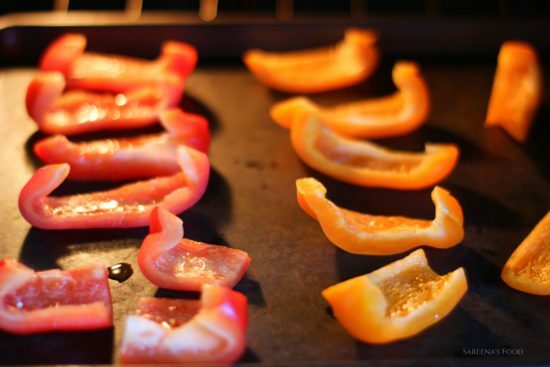 Make sure that you wrap it tightly and brush it with a very light coating of oil on each side and grill for 3 minutes. Enjoy immediately! During the last 10 minutes of it cooking, grill the zucchini for 5 minutes or until it has grill marks on it. To make the hummus, puree the roasted garlic and one of the grilled pepper in with the hummus. 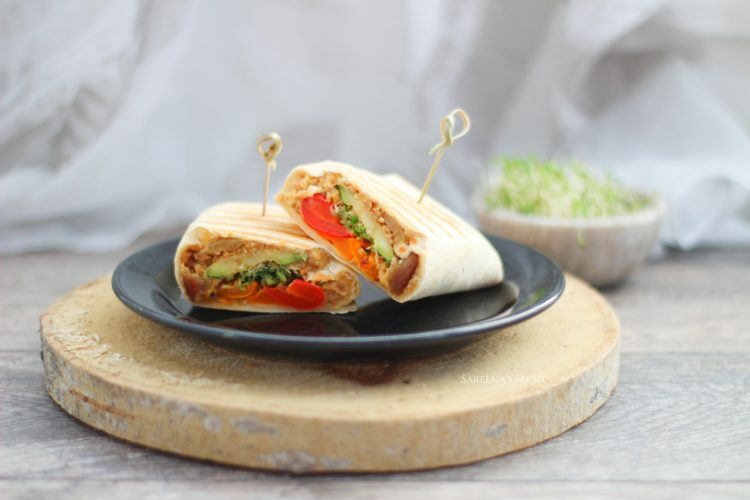 Spread hummus on the wrap and top with quinoa, zucchini, half of the other grilled pepper, pea shoots and sprouts; wrap tightly. Lightly brush with oil and grill on an indoor grill for 3 minutes.